Free Monday Community Movie Night. 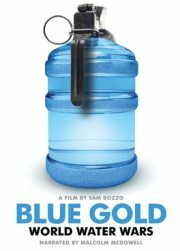 Blue Gold follows numerous worldwide examples of people fighting for their basic right to water, from court cases to violent revolutions to U.N. conventions to revised constitutions to local protests at grade schools. As Maude Barlow proclaims, “This is our revolution, this is our war”. 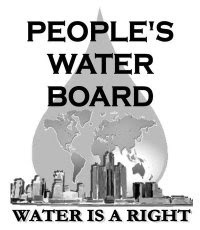 A line is crossed as water becomes a commodity. Join us every fourth Monday* from 6:30 - 8:30p for this casual event at the MSU Detroit Center. Parking is available on Woodward and in the lot off Erskine St. The 2012 Community Movie Night is brought to you by the People’s Water Board Coalition, People’s Kitchen Detroit, The Greening of Detroit, Detroit Black Community Food Security Network, Capuchin Soup Kitchen’s Earthworks Urban Farm, Michigan Interfaith Power & Light, Great Lakes Bioneers Detroit, Detroiters Working for Environmental Justice & Detroit Evolution with gratitude to the MSU Detroit Center for hosting.